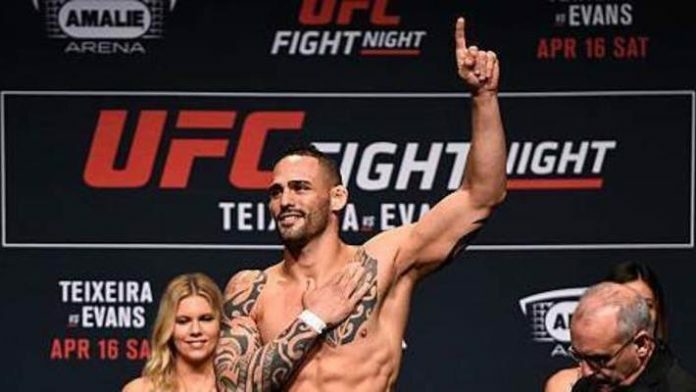 Santiago Ponzinibbio has moved on from a potential fight against Rafael dos Anjos and has shifted his attention closer to the top of the welterweight division. For those who think that Santiago Ponzinibbio is not being realistic in this request, he begs to differ and argues that, with seven consecutive wins under his belt, he is more deserving now than Woodley himself was when he received his title shot, let alone a potential #1-contender fight. What do you believe the odds are that we see Tyron Woodley vs. Santiago Ponzinibbio next?